Pamela DePinto has taught students in grades K-12 and served as a Special Program Facilitator in a K-12 district. Pam also served as the Lake County Curriculum Coordinator where she provided numerous workshops and Gifted Institute training for teachers throughout the state of Illinois. Pam is the Past President of the Illinois Association for Gifted Children and received the IAGC Distinguished Service Award in 2005. 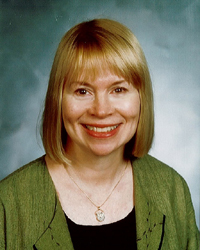 In Lake Forest District 67, Pam has served as Director of Instruction. She has also worked as a national education consultant for sixteen years and currently serves as a consultant for Kingore Professional Associates. Pam has provided supplementary units for textbooks in the area of Language Arts.